Indie electronic duo Matt and Kim will perform live on the Backyard Stage of the St. Augustine Amphitheatre with genre bending Sub Pop artist Yuno on Friday, February 15, 2019. Known for infectious, beat-driven anthems and explosive live shows, Matt and Kim are back with their sixth studio album “ALMOST EVERYDAY”, out now on FADER Label. Work began on the new music soon after Kim tore an ACL while performing on stage at Mexico’s Vaiven Festival in 2017. 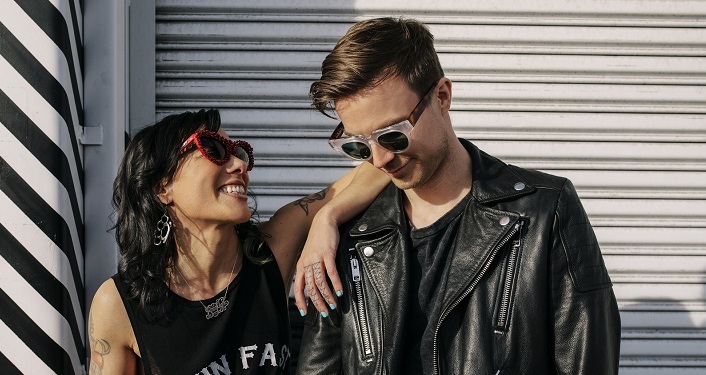 The year-long break from touring allowed Matt and Kim the time to focus on songwriting and complete this album, which is one of the band’s most personal releases to date.